The first assumption Elliott attributes to me is that in these matters, what is normal is normative. To be sure, no one should try to deduce Ought from Is. And everyone should agree that, even when custom and usage are rightly treated, for our common good, as needed for beneficial coordination and therefore normative, there can be appropriate occasions for setting them aside. The Standing Orders and practice of the Commons are not rarely set aside legitimately. Author’s note: A few minutes after posting this I realised I was mistaken in saying that the House had already conducted such unusual indicative votes, and I apologise to Professor Elliott for suggesting that he made an obvious mistake in identifying what operations I had in mind. The point about what future operations of the House I was anxious about remains as stated elsewhere in the paragraph and later in the post. All I know is that Leavers are having the wedge tapped in deeper and deeper by a duplicitous PM, Cabinet and MPs. It looks increasingly like an establishment plan of manipulation and deceit corroborating with EU leaders to slowly but surely wean the electorate away from its 2016 decision and the undertakings of government and MPs. Further the establishment actually don’t care that they are alienating about 40% of the electorate, it’s actually a bonus to them as they see Leave voters as of negative importance or perhaps even as the enemy. There will surely be a cost. Not all of the points above are bad ones, but the core one is. The Commons does usually decide that the government should have control over the legislative process/ Where it exceptionally decides that it does not wish that to be the case that is legitimate because the Commons has democratic legitimacy. For the government to block that would be illegitimate because it lacks any democratic mandate independent of the Commons. On a more technical note, I fear Professor Finnis has confused the Lord Chancellor with the Clerk of the Crown in Chancery. It is the Clerk of the Crown, not the Lord Chancellor, who acts as intermediary between Parliament and the Palace in the Royal Assent process. The Clerk of the Crown is not a politician. The office is held by the Permanent Secretary of the Ministry of Justice, but in this context the Clerk acts not as a civil servant but as a royal and parliamentary officer, as the Attorney-General explained at the Second Reading of the Royal Assent Bill 1967. I also fear Professor Finnis has misunderstood the role of the Lord Chancellor in the use of the Great Seal. The Seal only comes into the process to authenticate the Letters Patent. As the Royal Assent Act 1967 expressly says, the Queen can still give her assent in person without needing an intermediary (or a seal) of any kind. Moreover, anyone who has ever been to the ceremony in the Lords when she gives her assent by Letters Patent will know that the Queen in those Letters Patent commands the Lord Chancellor to seal them. The Letters Patent are signed first and sealed later. And the sealing is actually done not by the Lord Chancellor but by the Clerk of the Crown using a wafer seal. Professor Finnis has the relationship upside down. Like that page of Erskine May, my post concerned constitutional-political responsibilities; it was not concerned with the elements of the process that are intrinsically subordinate (and in ordinary times operate with little or no personal intervention from those with the final constitutional responsibility), except insofar as the authoritative specification of such elements as seals helped identify the minister(s) with whom a particular responsibility ultimately rests. In the context of a discussion about fundamentals, David Howarth is limiting his attention to what can be seen on the surface of more or less routine proceedings. Spinning Hugo, too, makes startlingly little, above, of Erskine May’s testimony (“principle of the highest constitutional importance”) to Parliament’s own longstanding self-understanding of the close relation and needful balance between, on the one hand, the democratic legitimacy of individual members capable of combining and parting in unstable ad hoc majorities and, on the other hand, the democratic legitimacy of the government an electoral majority presumptively had in mind to entrust with the coherent conduct of government for so long as no majority is willing to replace it in government or face the electorate again. 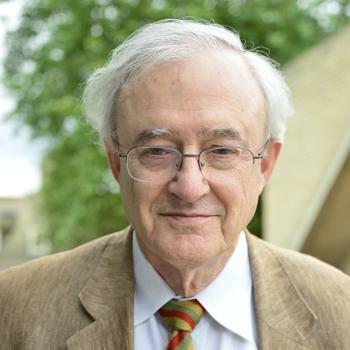 Prof Finnis’ argument is that a Bill, what became the European Union (Withdrawal) Act 2019 engaged the Crown’s financial prerogatives on the basis that delaying an event that would save public money ie leaving the EU under the European Union (Withdrawal) Act 2017, incurs public expenditure and that exxpenditure should only be incurred at the request of the Crown. A Money Resolution with Queen’s Recommendation in the House of Commons is an entirely separate Parliamentary procedure from the introduction of a Government Bill. The fact a Bill is introduced by Ministers does not of itself satisfy the financial prerogative. Government Bills need Money Resolutions as much as private members’ Bills. The EU might now be an expense to the British taxpayer, but so once was Ireland. In 1914 Parliament passed the Government of Ireland Act; the fourth Home Rule Bill. That relieved the British taxpayer of most of the cost of administering Ireland. On 15 September 1914 what became the Suspensory Act 1914 preventing the coming into force of the Government of Ireland Act passed the Commons and, like the 2019 Act, it did so in a single day. If Finnis is right, then one would expect to see a Money Resolution with Queen’s Recommendation after Second Reading of the Bill for the Suspensory Act. Hansard confirms that there was no such Money Resolution. Bills to suspend money saving measures do not engage the Crown’s financial preogatives. Professor Finnis misses out from the passage he quotes from Erskine May the crucial words ‘or which are likely to have passed by the time Royal Assent is to be declared’. The Lord Chancellor’s job at that stage of the process is to anticipate what the Commons and the Lords might do, not to delay the effect of what they have already decided. The criterion for inclusion in the list is whether bills have been passed or are likely to be passed by the two Houses, not whether the Lord Chancellor thinks they are ‘ready’ in some other sense. They are ‘ready’ when they have been passed. The fact that all this is in practice done by the Crown Office reflects the underlying constitutional and political position, which is the Lord Chancellor has no discretion at this point of the process, just as the Lord Chancellor has no discretion about sealing the Letters Patent. It is not just an administrative convenience. One might speculate that the role of the Lord Chancellor in the process derives from the Lord Chancellor’s previous role as Speaker of the House of Lords rather than his or her current role as Secretary of State for Justice. If so, that is another constitutional reason for the whole process being carried out by the Crown Office. Mark Elliott finds Finnis’s argument that the Government (in the person of the Lord Chancellor) should not have presented the Cooper/Letwin bill for Royal assent, monstrous. Its fault, I think, was not that it was monstrous, it was that it was modest. The problem doesn’t turn upon the breadth of Parliament’s legislative power; which is in this matter as Elliott states it. Rather, the issue is of the executive power and its relation to Parliament. This question has two aspects: (1) whether the executive power is able to be usurped by a majority of legislators, and (2) whether the control of the Executive by the Parliament in the processes of responsible government can be replaced by an irresponsible Executive. The nub of my argument is in the second of these. There are two forms of responsibility at issue. First, responsibility to the people. And here it is clear that both a constitutional Executive and the Cooper/Letwin usurper are responsible to the people. But that is not the responsibility implicit in responsible government. The second form of responsibility, responsible government, is that in which a responsible Executive is held to be responsible to the confidence of Parliament. This is a responsibility that the usurper avoids, being responsible in this second sense only to itself – that is to say, not responsible. I have said that Elliott’s conception of the breadth of Parliament’s legislative power over Brexit is correct. But it is clear that there is now a clash between that (correct) conception of legislative power and the necessary objection to the usurpation of the power of responsible Executive government. That clash can only be resolved by the deepest constitutional principles. I cannot believe that those principles do not include the subtle and complex system of responsible government. An example of a deep constitutional principle is Stockdale v Hansard (1839) 9 Ad & El 1, which decided that a resolution of the House of Commons was not to be confused with law: what should have been enacted in the constitutional way was presented in the form of a Commons resolution. The Cooper/Letwin bill presented the opposite problem: what should have been a resolution of the Commons directing the prime minister and Executive under pain of confidence, was presented as law. The rapid assent to the Bill the evening after this post went up leaves the normative issues as they are set out in it: by that time, helped by Lords amendments during the day, there was (for good or ill) substantial coincidence between the government’s position (on seeking art. 50 extensions) and the Bill’s. Mark Elliott’s response, elsewhere, on 10 April meets none of the post’s points, and continues his confusion between parliamentary sovereignty and the democratic legitimacy of the Commons (and thus also, as the post noted, between Bills and Acts). The inclusion of the words Professor Howarth’s second comment says are crucial in the passage I quoted from Erskine May makes no difference to the relevant sense of the passage or of the procedure. The message which they convey – like other parts of a passage I was quoting to rebut his original claim that I confuse Lord Chancellor with Clerk of the Crown – is that there are to be as few sets of Bills submitted to Her Majesty as is consistent with convenience and other considerations such as urgency. All the other points in Howarth’s second comment, about absence of discretion in the Lord Chancellor when he submits Bills for assent and when he (or another minister specified in the Great Seal Act) seals the Letters Patent, simply assume the very point that is under discussion as a matter of constitutional principles. Geoffrey Lindell’s detailed and very fair-minded review, “Assent or refusal to assent to legislation – on whose advice?” in Constitutional Law and Policy Review, August 2009, 126-138, stated essentially the same principles and conclusions as I now have, and was well placed to report – away from political tempests such as Brexit – that they are principles and conclusions with the support of “a consensus”. First & foremost we need Proportional Representation in our voting system. We need a different form of rubber-stamping Bills as they go through Parliament, ie: How our Queen ever gave Royal Assent to the Letwin/Cooper Bill a few days ago is beyond me when she made vow at her Coronation to preserve the sovereignty of this country. Mark Elliott in his latest attempt to justify the Cooper/Letwin usurpation of the executive power writes that the justification of the supremacy of Parliament is that Parliament has an independent democratic mandate whereas the Executive does not. This is true. But against it we can say that the Executive has a royal mandate, which the Parliament does not (when it is acting as a Cooper/Letwin usurper). It is the Queen who commissions a certain person to form a government with the confidence of the House; and that person thereafter has a special relation of confidence with the Queen herself. This is not exactly a democratic mandate, but it is a mandate of the same order: the Queen is bound to the people by her oath, and a Prime Minister acting in pursuance of the Queen’s commission is acting within the hegemony of that oath. A Cooper/Letwin usurper cannot act in this way: one of them turning up at the Palace with a bill to be signed would receive very short shrift. By contrast, when Parliament acts in accordance with the principles of responsible government it has the royal mandate as well as the democratic one. This entry was posted on April 8, 2019 by Constitutional Law Group in Europe, European Union, UK government, UK Parliament and tagged Brexit, Crown, EU (Notification of Withdrawal) Act 2017, European Union (Withdrawal) Act 2018, Fixed Term Parliaments Act 2011, House of Commons, legislative supremacy, lord chancellor, Miller v Secretary of State for Exiting the European Union, Monarch, prerogative powers, prorogation, Royal Assent, Royal Prerogative.